Wire or not to wire, that is the question….. 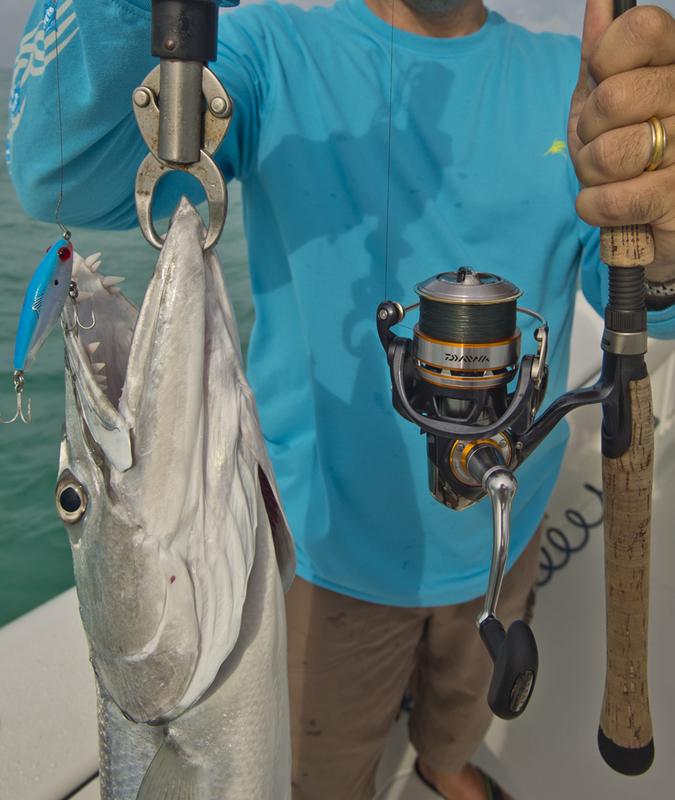 The winter brings some great toothy critter reef fishing to Key West. Along with that we also have some stellar Yellowtail snapper, Mutton snapper and Sail fishing. When fishing for everything you can, your going to get cut off – ALOT by Cero , kingfish and spanish mackerel if you don’t use wire, and if you do use wire, You may not get the quality fish you were looking for.. So here is a tip I learned from fly fishing for hug barracudas with a fly rod in the Marquesas Keys on the flats. Light tackle Light wire.. I use #2 wire. Its like hair and I don’t use much of it and avoid using swivels. IF I have to go to wire to prevent from being cut off I strip out about 8 inches of #2 attach it to same hook I was using with a haywire twist.. Its really important that the haywire is done well or the small diameter wire will pull down on itself. On the line end I use an Albright knot. Bend the wire and wrap the mono to make the Albright (i go about 7 wraps). Its also important that I take and use at least 25lb test leader to make my Albright or it the wire will cut. When the knot is done you will have about a 4 inch section between Albright and hook eye. Great for live bait or chunking where a cut off is inevitable. The yellowtails will be a little more shy but it beats getting cut off every drop. Use a jig and Pink or white buck tails and the yellowtails wont care..
To light of wire? No not really. If you hook fast and keep the wire from becoming directly involved with the teeth you have about 20lb of load you can put on your rig here and really pump up your volume..
Feel Free to Drop me an email to learn more..